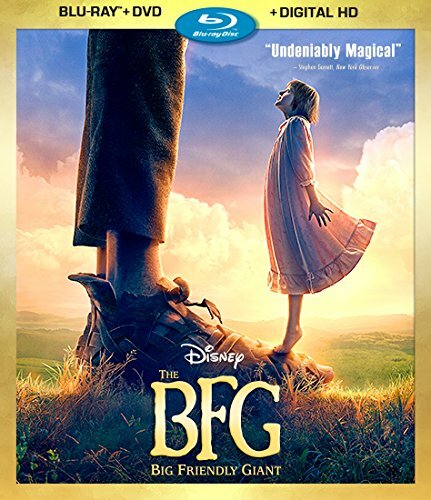 My mom said she had read me The BFG when I was young but I have no memory of that particular story so I went into this movie having no preconceived expectations. I hand't been impressed by the commercials but with Stephen Spielberg directing I was still hopeful that it might be a good movie with a poor marketing team. Unfortunately, I didn't find the movie any better than the commercials. The animation was great, but it didn't seem like there was much of a story and there was very little emotional impact. The story is about a giant to comes into town and kidnaps a 10 year old girl when she accidentally sees him. He takes her back to his house where she is apparently going to have to live forever. What a great way to build sympathy for our giant! Well the two become friends and we find out the giant is bullied by even bigger giants, and then he eventually decides to take her home even though she doesn't want to go. There's also something in there about dreams, but I wasn't clear on how that fit with the bullying plot. The other giants are supposed to be the antagonists here but they never felt like much of a threat. They felt more like the trolls from Peter Jackson's The Hobbit where they would talk about eating people but instead of showing us this to solidify how dangerous they are we instead just see them fumble around acting like The Three Stooges. The animation was good, the music by John Williams was good, the voice acting was all good, but the movie as a whole just wasn't engaging. I never became emotionally attached to either the giant or the girl and I never felt like there was any real danger so I just didn't care. The Big Friendly Giant and Me - A short about the friendship between the BFG and the little "bean" who lived in Giant Country before Sophie. Gobblefunk: The Wonderful Words of the BFG - A whoopsey-splunkers tutorial on theBFG's gloiumptious Gobblefunk. The BFG , released by Walt Disney Video, is available starting November 29, 2016.